Last week, HWDT were delighted to welcome our first ever Gaelic Development Intern, thanks to a grant from Bòrd na Gàidhlig through the Taic Freumhan Coimhearsnachd funding programme. Kenny Rankin is a Gaelic speaker from Lochalsh on the West Coast, and over the next few months he will be working with our Community Engagement Manager, Pippa Garrard, and local Gaelic Advisor, Carol Maclean, to develop the Trust’s Hebridean Marine Explorers education programme for Gaelic-medium classes, as well as incorporating Gaelic into the Trust’s wider activities. Kenny’s background is in music and Gaelic culture. He graduated from BA(Hons) Applied Music with the University of the Highlands and Islands in 2016 before completing a year’s study at the Scotland’s Gaelic college, Sabhal Mòr Ostaig. 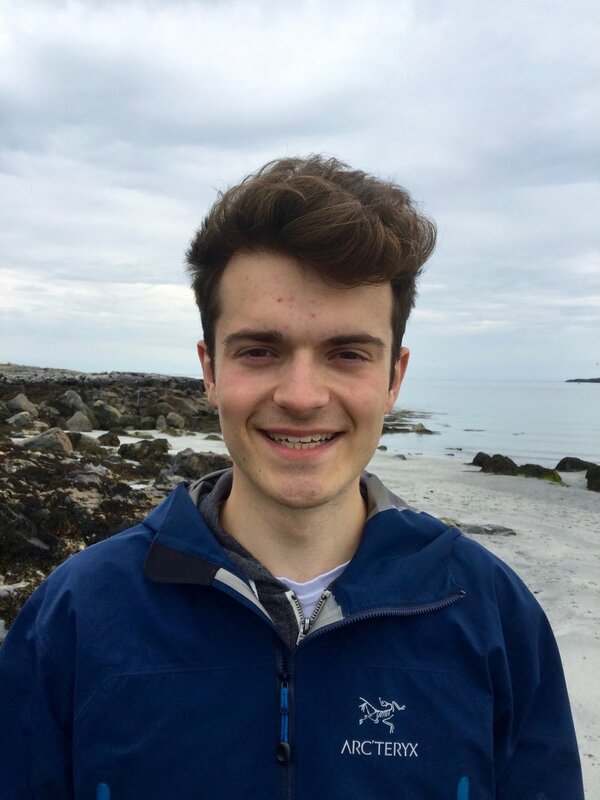 No stranger to the Hebrides; Kenny lived in South Uist and Skye during his studies, and is currently based in Tiree - just across the water from our base on Mull! Over the summer, Kenny will be translating and adapting the Trust’s existing resources to Gaelic, before hitting the road the road in August and September to deliver classroom sessions, headland watches and floating classrooms on board Silurian to schools across the Hebrides. — Kenny Rankin, Gaelic Development Intern. Welcome to the team, Kenny. We can’t wait to get started! The Trust's education programme, Hebridean Marine Explorers, is possible due to the support of players of People's Postcode Lottery, through Postcode Local Trust, in addition to funding from the Robertson Trust.